Powerful, gritty, fruity wine, strong at 14.5%. 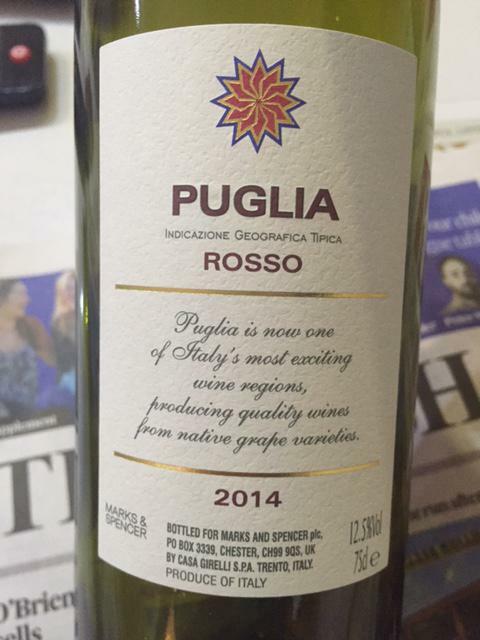 I see this is another well made wine from MGM Mondo, which leads me to believe it’s retail origin is O’Briens. 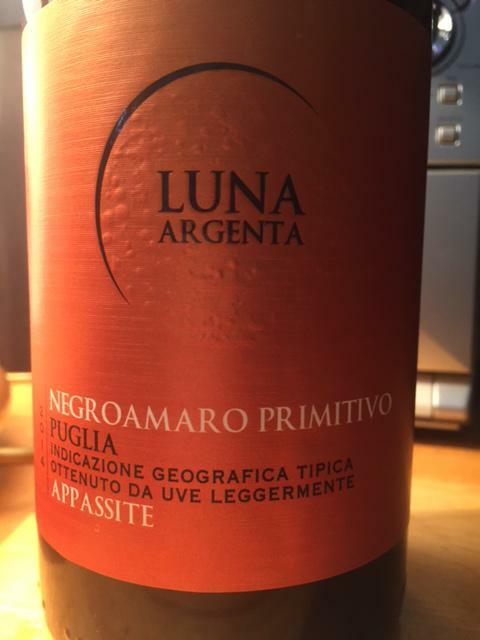 Negroamaro Primitivo grapes from Manduria near Taranto. Interesting “Golden Moon” blender’s philosophy. Solid heavy Burgundy bottle. Not cheap I suspect, a dinner party bring from Mr Burns. 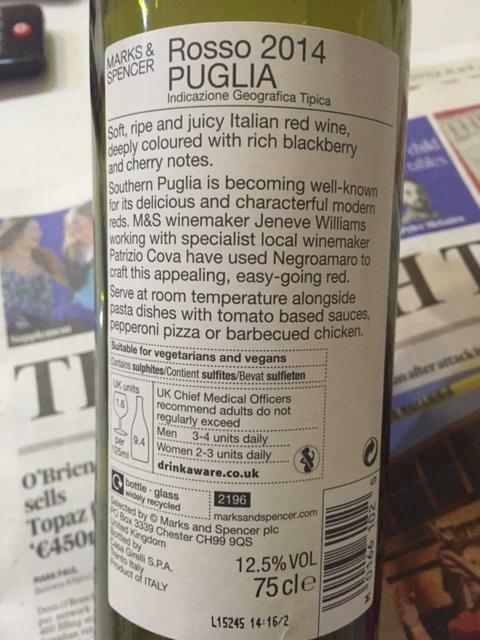 Nice fruity light table wine that came with the Meal Deal. Great value for the Meal @€14. Wouldnt buy this at the listed €10.75. Dad brought this to his Birthday Party. From the wine shop in Sandyford Village. Their suggested replacement for the Lupi Reale Montepulciano. Full of Fruit, fields of Raspberries nose, shrouded in a blanket of soft tannins.Slight aniseed twinge. Needed chambre’ng to open up but well worth the wait. Alberobello means “beautiful tree”and is a Trulli town close to Bari.